Back from an interesting international bagpiping assignment. Was taken out to Dubrovnik, Croatia to do a bit of filming for US TV network ABC, who were shooting their new reality TV show. We are bound by Confidentiality agreement.. So better not say too much! 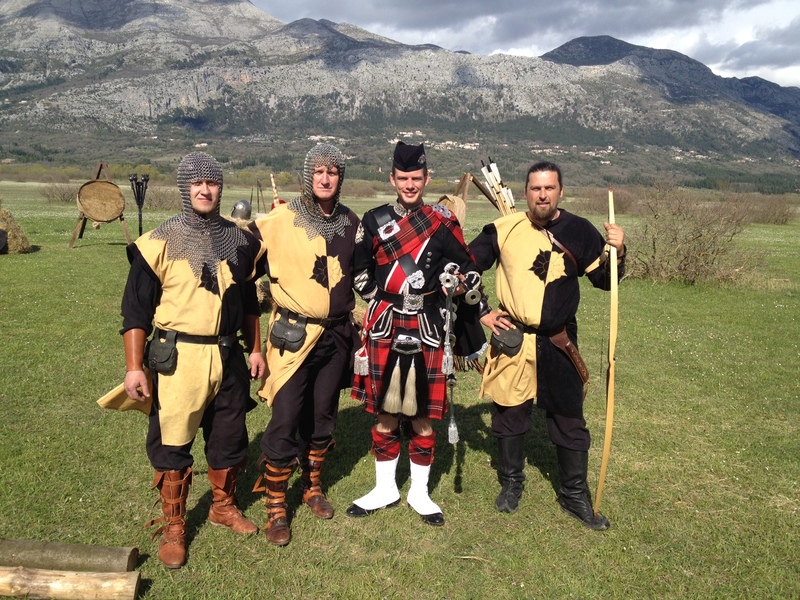 Basically the idea was that the contestants on the show had to compete in highland games activities. I was asked to pipe them on to the field, and then introduce the activities, caber tossing, archery and maide leisg. It was a great day of filming, with a cast of 60 on site on the day, to make the production come alive.